Sunaina Sethi DipWSET is one third of the family trio behind one of London’s hottest hospitality groups, JKS Restaurants. She tells us her journey from learning the basics behind the bar to leading wine management for the group and how the WSET Diploma opened her eyes to a world of wine. Following a background in banking, what led you to take on front of house and wine list management within JKS Restaurants as opposed to any other area of the business? I tripped and fell into the role! Having never worked in the industry before, I was keen to learn as much as I could, as quickly as I could. I have always loved working with people, and had an interest in wine and spirits. I started by working behind the bar at Trishna, as it overlooks the busier section of the restaurant. This way I could absorb everything and get to grips with the operation. In doing so, I started working closely with our sommelier, and realised I had taken over all the boring, but equally important, parts of the role such as cellar management, wine list maintenance, stock rotation etc. 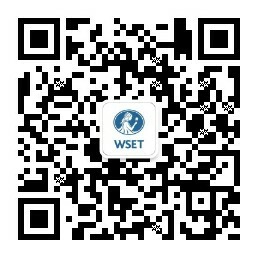 I then decided to consolidate my knowledge by completing the WSET Level 3 Award in Wines. I then took over the wine list at Trishna, along with running the front of house. How do you tailor the wine offering to each restaurant? I focus on the wine lists for the Indian restaurants in the group. First and foremost, every wine needs to be selected with the food in mind, which ultimately defines the list. A common theme is showcasing lesser known and emerging regions, smaller and boutique producers. I am also keen to take guests out of their comfort zone by giving them the opportunity to taste things they wouldn’t necessarily normally order by making them available by the glass and on tasting menus. The popularity of Indian cuisine is growing rapidly outside of India. Do you see a similar future for Indian wine? I feel a lot needs to change before things really pick up for Indian wine. There have definitely been movements in the right direction to put India on the wine map and there are some wines which can compete with wines from the rest of the world. The change in focus that was needed to put more emphasis on quality and to appeal to rest of world is clearly shown by producers such as Fratelli and Charosa. There are a number of challenges which still exist: skilled labour, expertise and supply chain issues. I have noticed that tasting wines at the winery versus after they have travelled shows a huge difference in quality due to the lack of temperature controlled vehicles and correct storage. Has your WSET Diploma education impacted the way you approach choosing wines, both for your restaurants and personal enjoyment? The WSET Diploma has definitely given me a much wider view of the wine world. When working in restaurants it is very easy to be narrow minded in the way in which you look at wine by focussing purely on trends and the way things work on the on-trade only. The diploma helps to realise that the on-trade is such a small part of the global world of wine and it was insightful to see the trends and markets across all sectors. There have definitely been movements in the right direction to put India on the wine map and there are some wines which can compete with wines from the rest of the world. As a young woman breaking the mould of how people imagine a sommelier to be, what advice would you give on how to win over a surprised customer? Confidence is the key! Being a sommelier isn’t about having the technical knowledge of every wine of your list. It is important to able to have a conversation with a guest to firstly establish what it is they are looking for, and then have the confidence to identify something which matches that and also provide them with the information they are looking for about the wine, rather than just bombarding them with facts that they might not understand. The easiest way to win a guest over is ensure they have something that is what they were looking for, perhaps something they haven’t tried before and ensure it is memorable for them!